Barrier Group Pty Ltd presents a modular and portable temporary barrier system featuring interlocking freestanding fence panels. 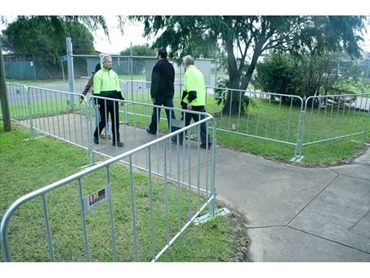 Suitable for creating continuous barricading for festivals, parades, sporting events or work sites, Event fence portable barriers offer strength, durability and flexibility. Event fences can be quickly assembled by simply linking the fence panels together. Optional forklift stillage makes storage and transporting of Event fence panels simple and efficient.